This is a port to Windows of Flurry, a beautiful screen saver for Mac OS X written by Calum Robinson, ported to Windows by Matt Ginzton and then updated by Julien Templier (aka Littleboy). 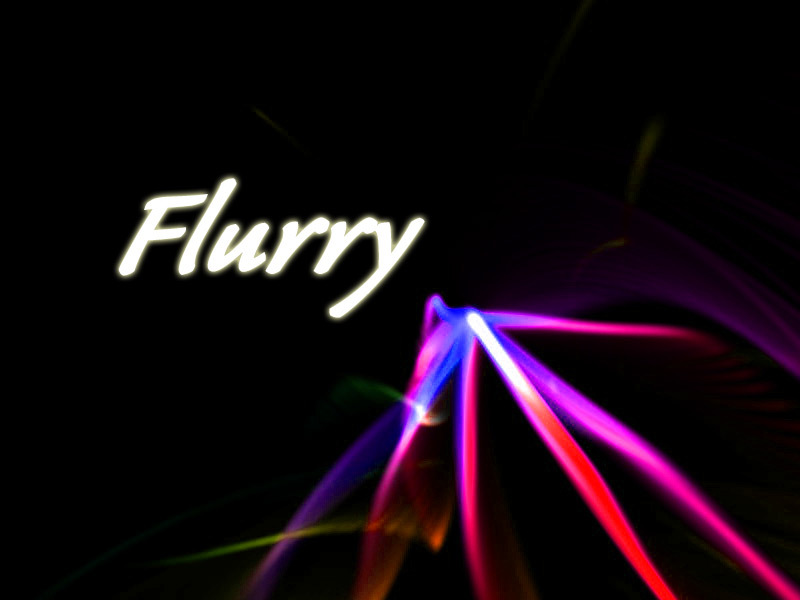 - Flurry Editor: create new flurry presets and share the templates with your friends! Although I have a question. After downloading this I went off and took a shower and when I came back my spyware blocker had picked up a keylogger which i quarintened and deleted. Might this have had anything to do with the code of the screensaver? I highly doubt it's related but plz clear my mind. Oh Wow! I love this screensaver. Simple and pretty. Just what I was looking for! Nice work. TurkishSquirrel, I ran my both of my Spyware programs after running this and came up empty. I don't think the keylogger had anything to do with this. Weesa: I compiled them myself, so I don't think there is any keylogger in the code I'm running Microsoft antispyware and it never came up while I was running it. It should be another app. All of them, each one, they are all great. Thanks for your efforts! This is simply one of the best and most intovative screensavers I have ever seen. God dang, I love you for doing this. I consider this screensaver one of the highlights of OSX, and I'm VERY pleased with the adaptation for Windows. always admired this about macs... otherwise i cant stand em... thanks! Excellent. I have wanted this screen saver since I first saw it on a Mac in school once. I absolutely love Flurry on my iBook and was excited to see this for PC. However, it does not run correctly on my machine. The "flurry" images are very choppy and slow. Almost like it's in slow motion or something. This is a six month old Dell running XP. Any idea what could be wrong? Thanks! AMAZING!!! I havent switched screensavers in three weeks! A new record! I have the same problem as Jr8Gal, it runs slow. If I screw with some of the settings it speeds it up a little, I'll try downloading this again though. It was awhile back when I downloaded it last. My graphics card is a NVIDIA GeForce 5500 Overclocked, manufactured by BFG Tech, 256 megs. Could that have anything to do with it? I don't remember if the last time I downloaded this if the new card was installed or not. Let's find out. I'm trying this again. And BTW, I also have a Dell, a little over a year old, XP Home. No viruses or spyware according to AVG and MS AntiSpyware. I'd be glad if anybody could help! Dunno what made it slow, don't care! This is a truly beautiful screensaver. I even shortened my screensaver wait time so that I have an excuse to see it more often.